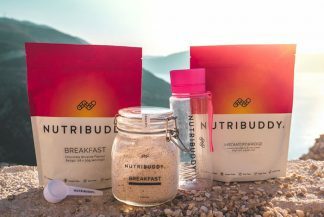 I am a Coeliac / Gluten / Wheat / Barley Intolerant – can I take Nutribuddy products? I am a Coeliac / Gluten / Wheat / Barley Intolerant - can I take Nutribuddy products? The ground oats which are the main ingredient in Nutribuddy Breakfast, are frequently tested throughout the harvesting / production process to make sure they are classed as gluten-free. They are also produced in a factory which only works with gluten-free oats. The smaller ingredients in Breakfast are naturally gluten-free (plus wheat and barley free) but the suppliers of those ingredients do provide the disclaimer that they also handle products containing gluten in their facilities and thus we include this disclaimer on our product labels. The same goes for Hotslim too. If you want to discuss any other products in more details please contact us. The feedback from our Coeliac / gluten-intolerant customers has been positive. Previous post: I am allergic to Nuts – are your products suitable products? Next post: Which kit is best for me?